Bradley R. Meltzer, O.D., is one of Eye Vision Associates Optometrists! Home » Our Doctors » Bradley R. Meltzer, O.D., F.C.O.V.D. Bradley R. Meltzer, O.D., F.C.O.V.D. 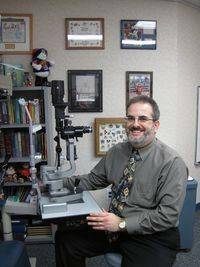 Dr. Meltzer of Eye Vision Associates is a 1996 graduate of the State University of New York College of Optometry. Upon completing his education, he did a residency in Vision Therapy / Rehabilitation and Pediatrics. During his residency, he became proficient in the identification and treatment of Learning Related Vision Problems, Head Trauma and Stroke Related Neuro-Optometric Rehabilitation, Strabismus, Amblyopia, Ocular Motor Dysfunction, and Accommodative Disorders. Dr. Meltzer also spent a considerable amount of time in Pediatrics and enjoys working with children of any age. Prior to joining Eye Vision Associates, Dr. Meltzer expanded his training by working in various professional settings. He has significant experience in the treatment and management of patients with glaucoma, LASIK surgery, cataract surgery, macular degeneration, and ocular disease. He has been involved in the patient care of residents at several local nursing and adult day care facilities. 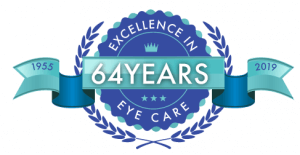 Along with his time at Eye Vision Associates, Dr. Meltzer also works at the Northport VA Medical Center. At the hospital he provides vision therapy to head trauma patients and is involved in the education of the optometric residents. He is also the head optometrist for the hospital’s Center of Balance Clinic which provides a team approach to managing patients with vestibular or balance problems. Dr. Meltzer has spoken at schools and PTA groups on identifying and helping children with reading and learning difficulties. He is very passionate about helping children alleviate their vision problems in order to perform at their maximum potential! He is a member of the local, state and national optometric associations. He is also a member of The College of Optometrists in Vision Development (COVD), Neuro-optometric Rehabilitation Association (NORA), and the Optometric Extension Program (OEP). In 2012, Dr. Meltzer completed his Fellowship in Vision Therapy and he became the New York State coordinator for COVD. When he is not working in the office, hospital or attending conferences, you can find him skiing or mountain biking on any of Long Island’s trails! My child is struggling in school. Should I have his/her eyes examined? Some of these issues can be alleviated with a good pair of eyeglasses while others may require vision therapy. 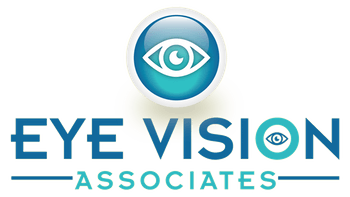 All the doctors at Eye Vision Associates are trained in the diagnosis of vision related learning problems. If you have any questions regarding your child (or any young school aged family member) please feel free to contact our two therapy doctors Dr. Meltzer: BRMeltzer@EyeVisionAssociates.com or Dr. Tamburro: Tamburro@EyeVisionAssociates.com For more information click below.